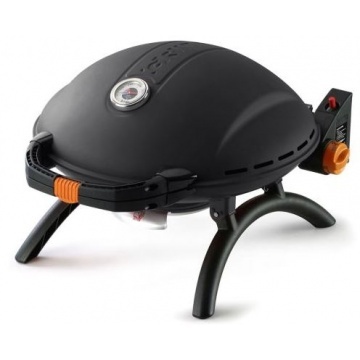 The Iroda O-Grill 900 portable camping picnic barbecue with clamshell designed raised height roasting hood is compact, yet is large enough to cook a whole chicken. 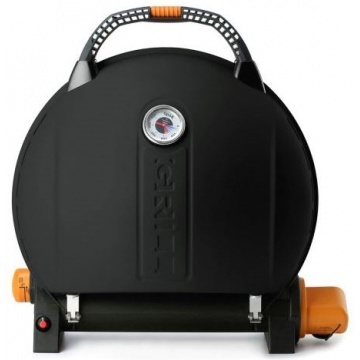 Can be run from Butane or Propane gas bottles via regulator and hose. Fully portable clamshell design with folding legs. 1452 cm2 (225 in2) large cast iron non-stick cooking area. Easy to clean low maintenance design with removable fat collection tray. 10500 BTU output (3.08Kw) stainless steel burner. 8mm connection nozzle and piezo ignition. 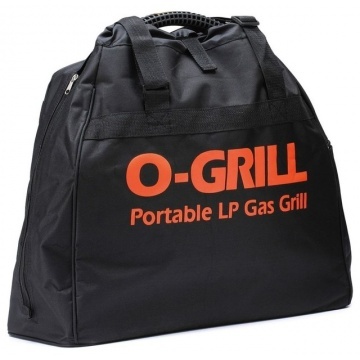 Supplied with custom carry bag designed to perfectly fit the O-Grill 900. Large domed lid with temperature gauge suitable for cooking whole chickens. Conforms to current CE specifications and standards on portable gas products. 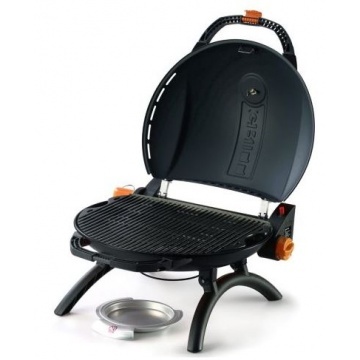 Includes carry bag for O-Grill 900 BBQ.